Contrary to most conventional management wisdom, The 7 Non-Negotiables of Winning looks beyond employee skills and background and to identify the true game-changing character traits for creating a winning culture. 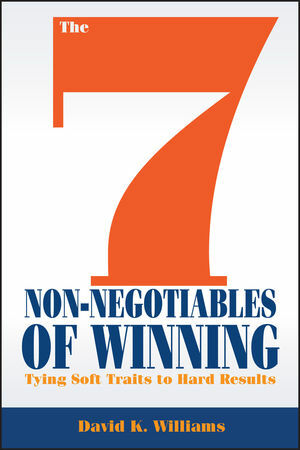 Based on the author's methodology for what abilities drive decisions and actions within his own company, The 7 Non-Negotiables of Winning details how respect, belief, loyalty, commitment, trust, courage, and gratitude play an integral part to multiple key business outcomes. When these seven core traits become the standard within any company, employees become inspired to flourish and companies sail over business hurdles to achieve record growth.